One thing you can say about us South Africans: we sure love to socialise. 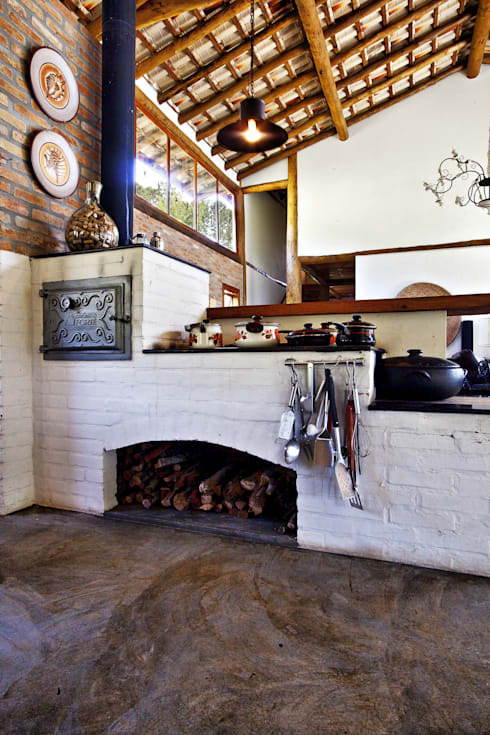 Throw in an open fire, a grill with a sizzling piece of steak (or chicken or fish or some roasting veggies) and you have a real ‘braai’ on your hands (don’t forget the friends and beverages of choice). 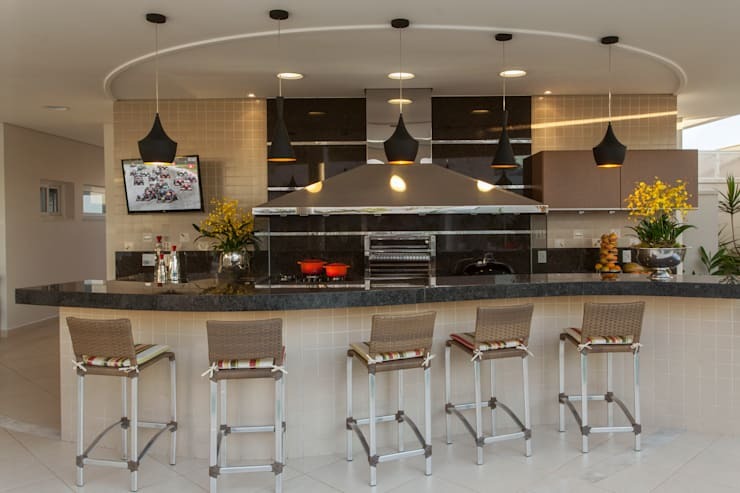 Marble countertops, elegant illumination and even a spot to enjoy the game in between meals… you'll never get a more amazing indoor braai zone. 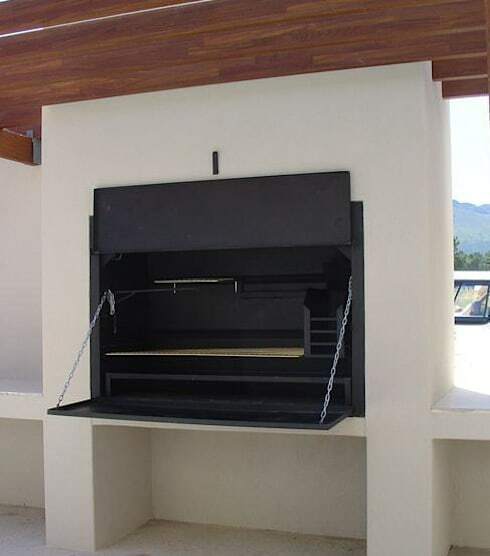 If space is a problem, then opt for a simple built-in braai setup. 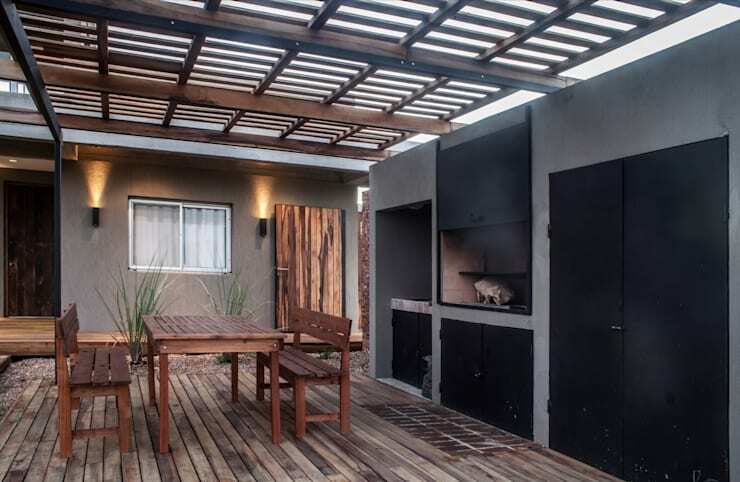 Create a pretty perfect patio with a charming wooden pergola. 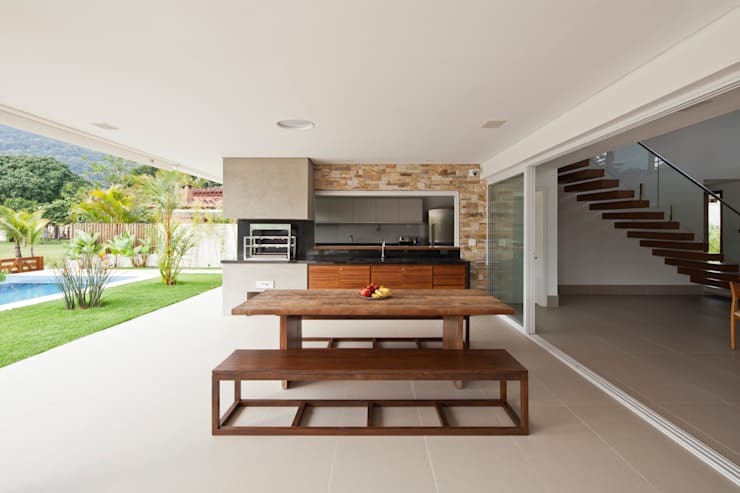 So you've built your home with a grand patio at garden level, now don't forget about adding an easily accessible kitchen. 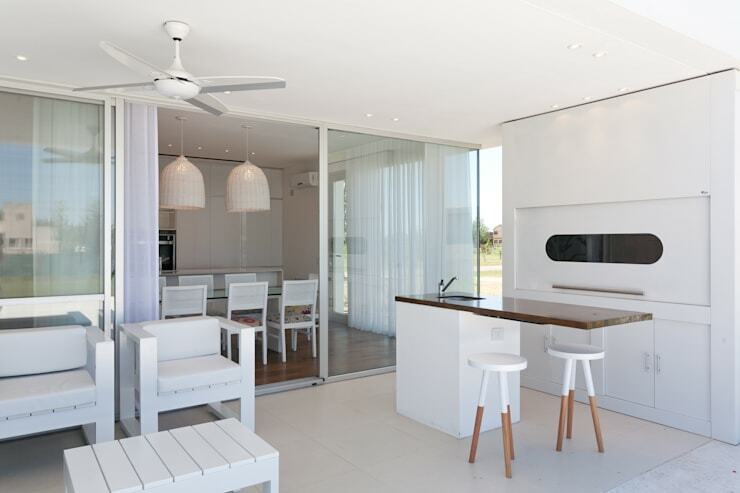 A modern homeowner admires all things eye-catching, which is exactly what this sleek and sophisticated all-white design is. 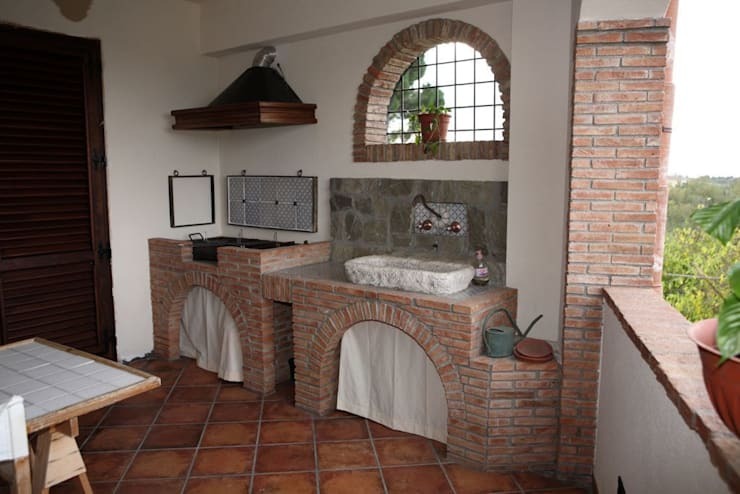 Arches, exposed brick and rustic cement features make this kitchen a gorgeous idea. 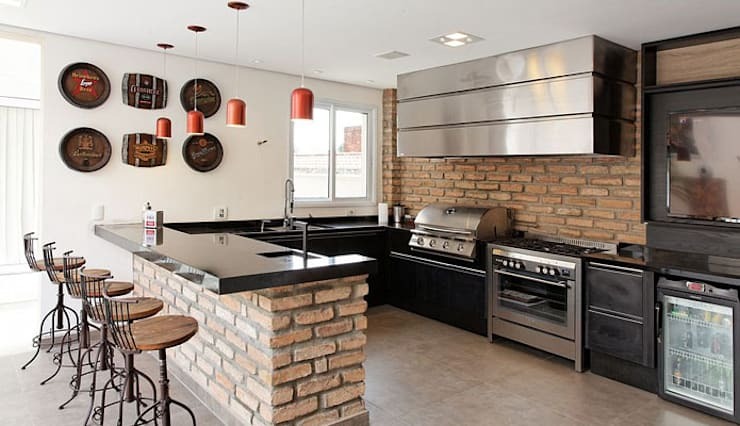 Brick walls and counters are a durable and dynamic choice for a modern kitchen. 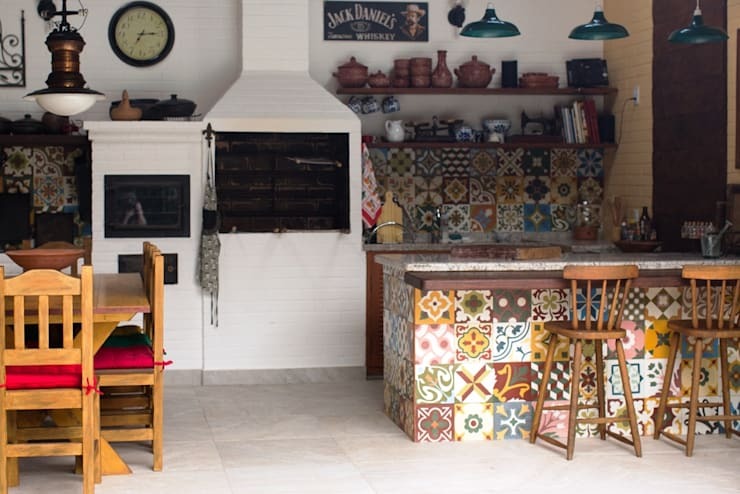 A wood fired oven opens up a number of awesome culinary possibilities.